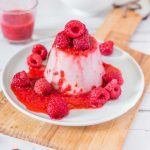 Vegan Panna Cotta with raspberry sauce for a quick, healthy and delicious dessert made with only 3 ingredients. No gluten, no oil and no refined sugar. The first time I had vegan panna cotta was at my grandma’s. 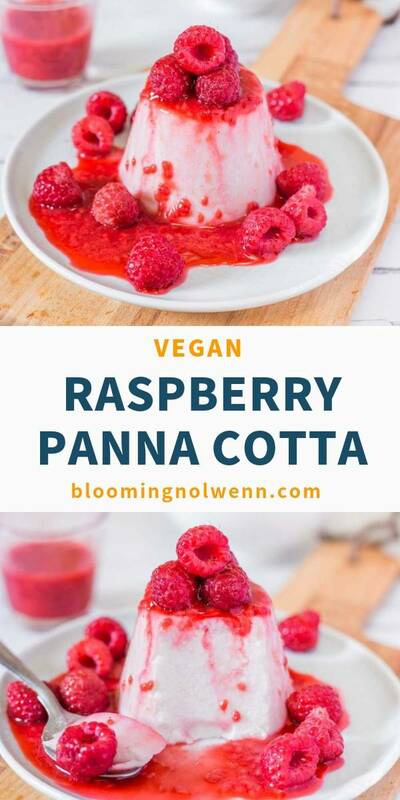 At first I was a bit skeptical because I didn’t know it was possible to make panna cotta without animal products, but she confirmed me that it was vegan and it was love at first bite. Since then, I have made it very often because my parents love it as well, especially in summer when it is very hot here. Okay, is your mouth watering already? 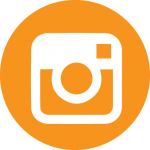 You may know by now that I’m all about healthy and simple recipes that require minimal ingredients. 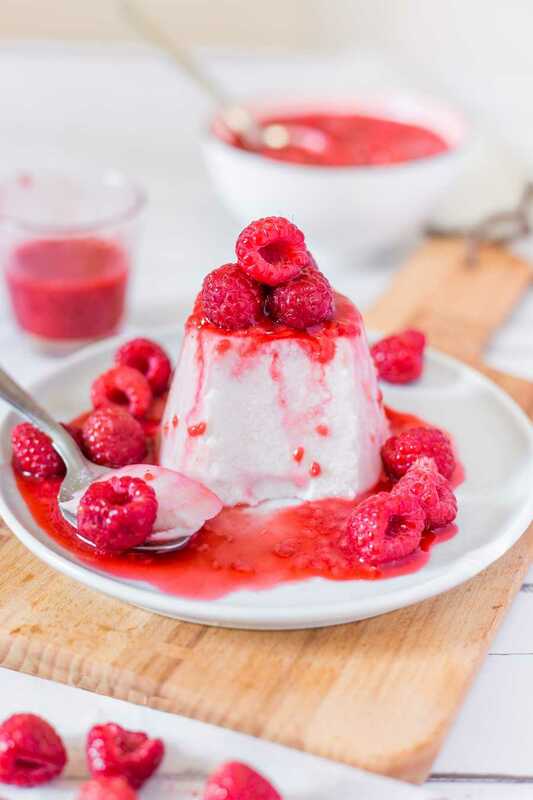 Therefore, you will only need 3 simple ingredients for this recipe: full-fat coconut milk, agar and raspberries (or any other fruit you like). 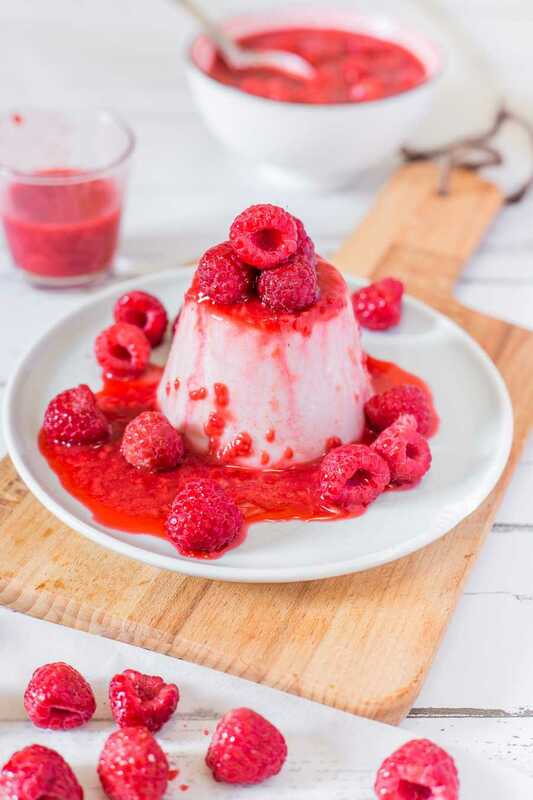 Making panna cotta may be one of the easiest things to do and this is why I love it so much. You simply have to combine coconut milk and agar, boil the mixture and pour it into silicone molds. I like to let it set in the fridge overnight or for at least 1 hour if I’m very hungry. 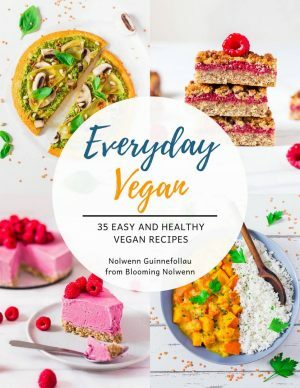 I personally find that it is sweet enough without any sugar, but it you have a big sweet tooth you may want to add a drizzle of agave or maple syrup. As always, feel free to adjust the recipe according to your taste preferences. Place the coconut milk in a saucepan over medium heat and stir until it is homogeneous. Add in the agar and stir again. Bring to a boil, give the mixture a good stir and boil for 2 minutes. After 2 minutes, remove from the heat and pour into silicone molds. Allow to cool and place in the fridge for 1 hour or until set. 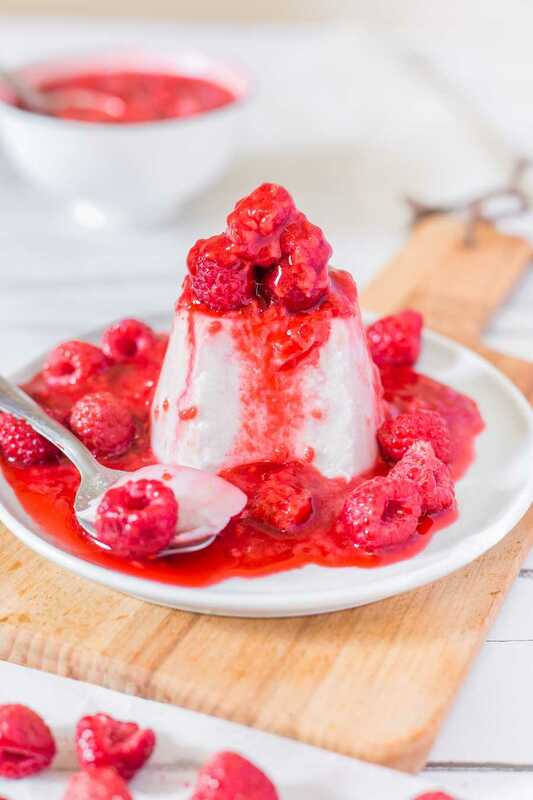 Place the frozen raspberries in a saucepan over medium heat and mash them with a fork when they begin to thaw. When they reach a saucy consistency, remove from the pan and set aside. Take the silicone molds out of the fridge, remove the panna cotta from the molds and pour the sauce over. 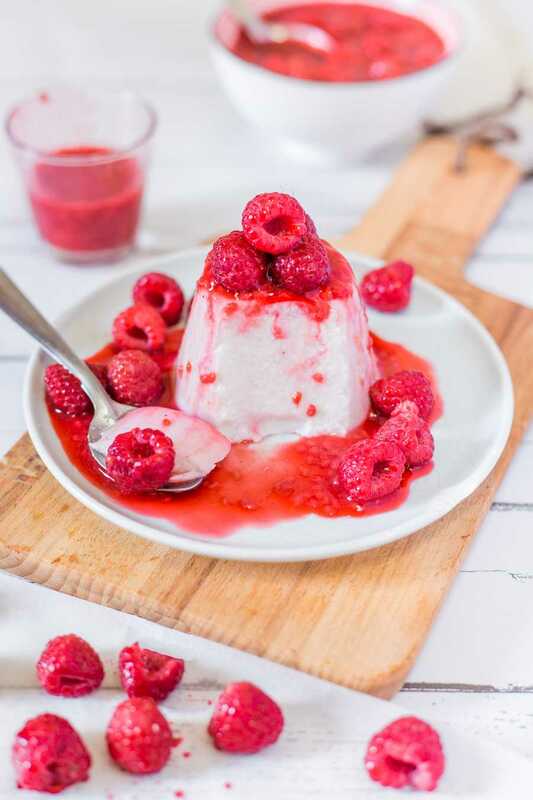 Top with more raspberries and enjoy! So simple and looks so yummy!